Cheonho Park is a pleasant park in the southeast corner of Seoul. 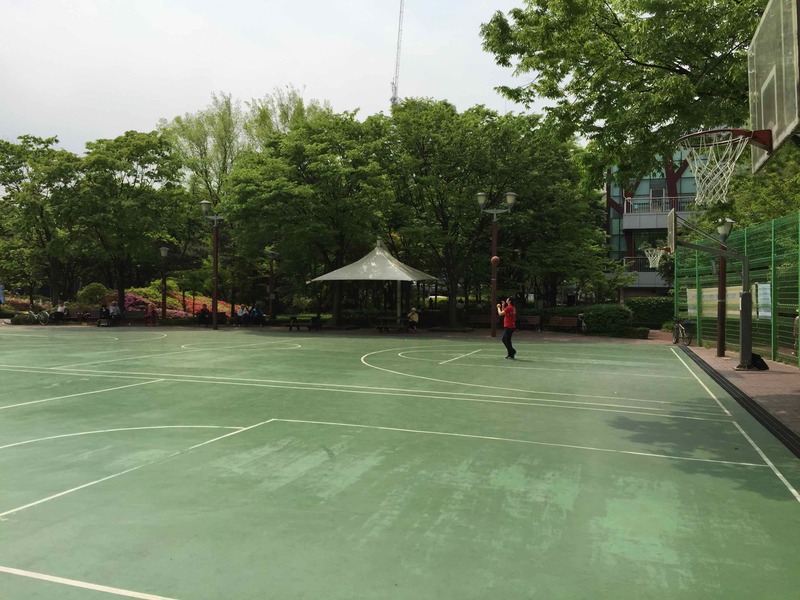 It is a small park, but there is plenty to do there. 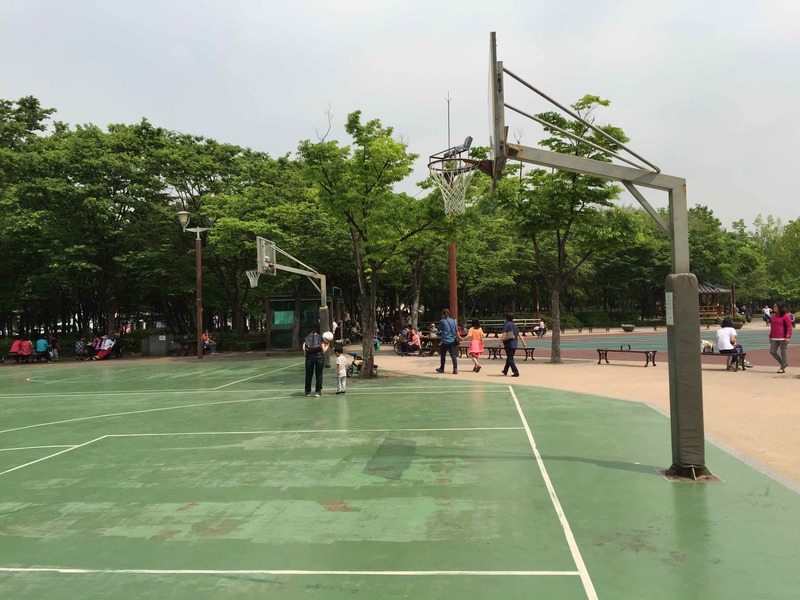 From badminton, to walking trails, to dancing water fountains, to basketball...the park has a nice mix of things that attract a steady stream of visitors. 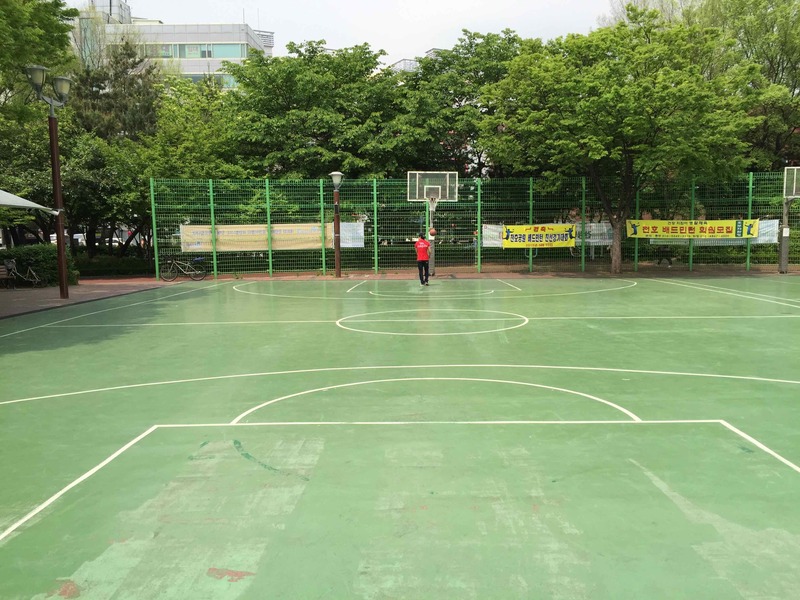 Cheonho Park's basketball offering has a unique draw. There are two courts that are suited for full-court games. The two courts sit side by side. They are almost completely identical. The only difference is that one is longer than the other. So, when deciding which court to play on, ask yourself, "Do I want to run more or less?" Green asphalt. The surface has seen some use, but it is still in great shape. Pretty much all the normal markings are easily visible. There are two courts, side-by-side. 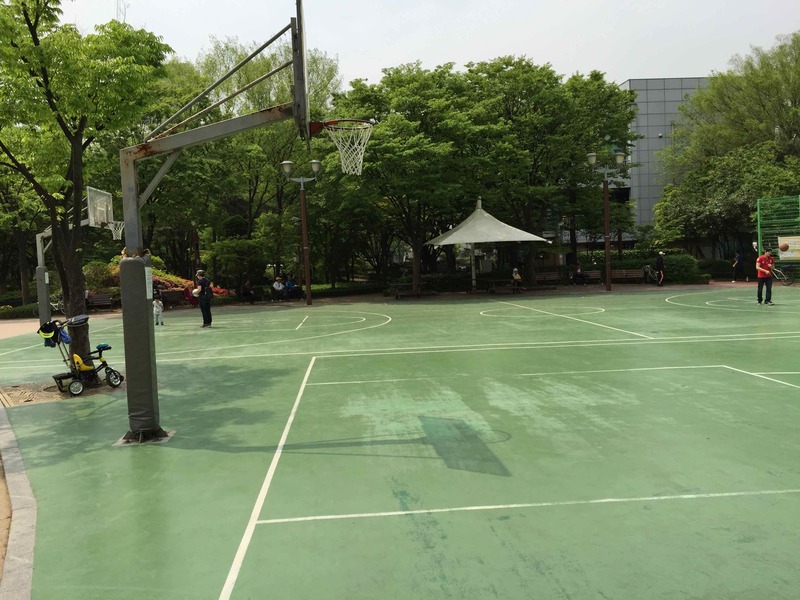 For those times you want a full-court game but are a little winded, there is a shorter full court. The park's atmosphere is refreshing. The nearby musical fountain provides a great half-time show. Could it be possible that there aren't any cons? The lighting is a little low. Knock down that corner-3 all day long! 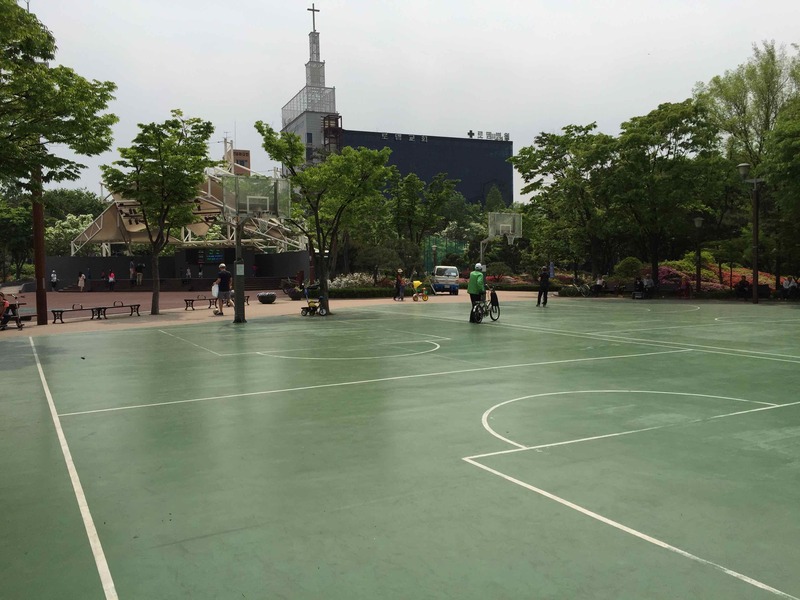 The basketball courts are in the middle of a small park. There are convenience store, bars, and other eatery joints located across every perimeter street. Cheonho Park's musical fountain performance is A+. Especially at night. -Walk out of exit 2. Go straight for 500 meters. Cheonho Park will be on your left. -Walk out of exit 3. Go straight for 500 meters. Cheonho Park will be on your right.